It's that time of year when the leaves start changing, the weather starts getting cooler, and my family starts casting worried glances my way and asking me if I'm going to do NaNoWriMo again. 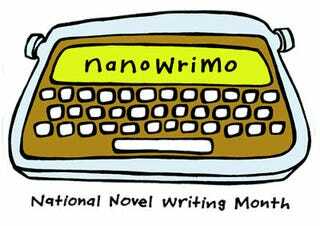 For those that don't know, the idea behind National Novel Writing month (NaNoWriMo for short) is that you write a novel in 30 days. You start on November 1st with a goal to write 50,000 words by midnight on November 30th. You can write anything you want. You just have to get the words out. I love doing NaNoWriMo, but I haven't done it every year. Last year, I did NaNoBlogMo, where I wrote 50,000 words on various blog posts and training materials. That was fun (and gave me a hell of a buffer), but I'm wondering if I should try to go back to my roots and do a bit of fiction. Maybe it'll give me a break from technical writing, which is all I seem to do these days. So, anyone one else doing it, or interested in trying?